WILLIAM ''BILL'' EDWARD CASEY AUSTINTOWN - William “Bill” Edward Casey, 72, entered eternal life on Friday, July 22, 2016, at UPMC Shadyside Hospital in Pittsburgh, after a courageous battle against AML. He was born on Aug. 29, 1943, in Youngstown, the son of Leo P. and Catherine M. (McInnery) Casey. Bill grew up in Youngstown and graduated from Chaney High School in 1962. 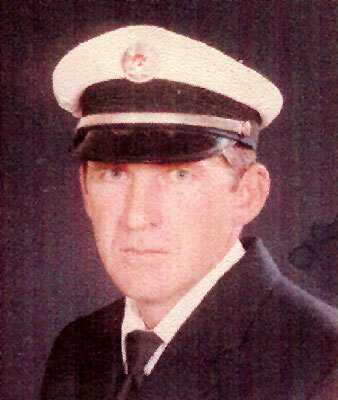 After high school, he served in the U.S. Navy from 1964 to 1968, and then worked a short time for Wean United before serving the City of Youngstown Fire Department from 1974 to 2000, where he rose and retired at the rank of captain. While there, he was honored to receive many meritorious awards, including awards from Fire House Magazine for heroism and community service, life-saving from Youngstown Fire Department, and community service from Kiwanis Club. Bill was a devoted family man and an enthusiastic Notre Dame football fan. He was a loving husband, father and grandfather. He always enjoyed attending his children’s and grandchildren’s school functions, sporting events and dance recitals. Bill was preceded in death by his parents, Leo and Catherine Casey; infant sister, Mary Kay Casey; and brother Patrick Casey. Bill is survived by his wife, Geri; four children, Christina (Rick) Harmony of Austintown, William E. (Dena) Casey II of Canfield, John M. Casey of Youngstown, and Amie L. Casey of Charlottsville, Va.; two sisters, Leona Hasen of Austintown and Peggy Fly of Lake Worth, Fla.; five grandchildren, Bobby, Brandon, Katie, Brady, and Collin; four stepgrandchildren, Miranda (Jake), Marisa, Maria, and Mikayla; and many nieces, nephews, and other relatives, whom he dearly loved. Visitation will be held from 5 to 7 p.m. on Thursday, July 28, at the Rossi Brothers & Lellio Funeral Home, 4442 South Ave. in Boardman. A prayer service will be held at 9 a.m. on Friday, July 29, at the funeral home, followed by a 10 a.m. Mass of Christian Burial at St. Christine Church, 3165 Schenley Ave. in Youngstown. The family would like to extend special thanks to the physicians and staff at UPMC Shadyside Hospital in Pittsburgh, particularly Three West ICU, who provided excellent care for Bill during his time there. Family and friends may visit the Book of Memories at www.rossifunerals.com to view this tribute and send condolences to Bill’s family.